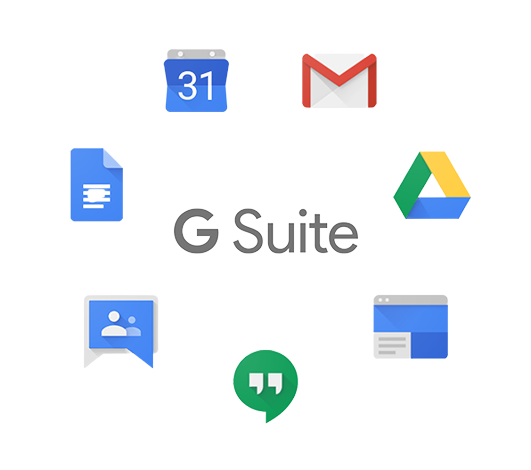 With G Suite, get a set of Google apps for business that let you and your collegaues collaborate efficiently wherever you are in the world. Get a professional email address, additional storage across Gmail and Drive, interoperability with Microsoft Outlook, enhanced security and more. Easy management of users and groups. Why purchase G Suite from ResellerClub when I can buy it from Google directly? Google offers G Suite at a similar price. However, the additional advantage with ResellerClub is the ease of managing everything you own like your domains and hosting on a single panel. The paid G Suite Account allows you to access your favorite Google Apps for Business such as Gmail, Drive, Docs etc. for your business linked to your own domain name and includes premium services that are not part of the free account such as: custom email addresses, twice the storage of free Gmail, enhanced security features and full administration rights with access to all the user accounts. You also get unlimited group email addresses, 99.9% guaranteed uptime, zero ads, 24/7 phone and email support, G Suite Sync for Microsoft Outlook, and more. Yes it is compatible. Depending on the client, you can use either the IMAP or POP mail protocol. You can use G Suite Sync if you are switching from Microsoft Exchange or some other Outlook service..
Can I transfer my current G Suite account to ResellerClub? Yes, you will be able to transfer your existing G Suite account to ResellerClub. However, any existing tenure with the other provider, if any, will not be moved to us. How does the pricing work for Resellers? India at $1.8/account/month, Southeast Asia (Indonesia, Philippines, Vietnam & Thailand) and Egypt at $2.4/account/month and the rest of the world at $4/account/month. The price per account reduces when you purchase G Suite ( Google apps for business) for a higher tenure like 12 months. For example, you will only pay for the price of 10 months when you purchase G Suite for 12 months.